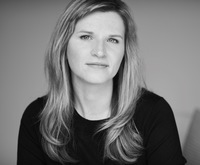 Tara Westover is an American author living in the UK. Born in Idaho to a father opposed to public education, she never attended school. She spent her days working in her father's junkyard or stewing herbs for her mother, a self-taught herbalist and midwife. She was seventeen the first time she set foot in a classroom, and after that first taste, she pursued learning for the next decade. She received a BA from Brigham Young University in 2008 and was subsequently awarded a Gates Cambridge Scholarship. She earned an MPhil from Trinity College, Cambridge in 2009, and in 2010 was a visiting fellow at Harvard University. She returned to Cambridge, where she was awarded a PhD in history in 2014. This poll is for the 'first' quarterly Non-fiction selection in our BT group. We had an outstanding response in nominations, with even more members holding off for the next quarter. I can only hope to see a book discussion that is half as lively.